Using a mandoline, very thinly slice the potatoes crosswise into a large bowl. Cover with cold water and swish to rinse off the starch; drain. Repeat the rinsing until the water is clear. Transfer the potato slices to a paper towel–lined baking sheet and pat thoroughly dry. In a large pot, heat 3 inches of oil to 360°. Add the sage, rosemary, thyme and parsley sprigs to the hot oil and fry, stirring, until crisp, 1 to 2 minutes. Using a slotted spoon, transfer the herbs to paper towels to drain. Working in small batches, fry the potato slices at 350°, stirring occasionally, until golden, 3 to 5 minutes. Using a slotted spoon, transfer the potato chips to paper towels to drain. Generously sprinkle the chips and herbs with salt and serve. 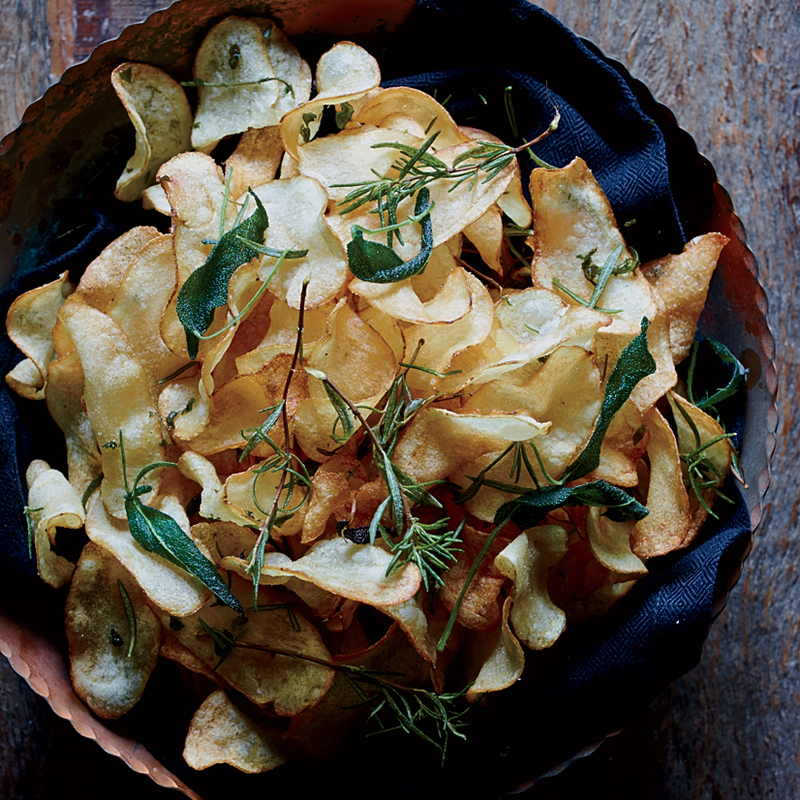 The chips and herbs can be made early in the day and stored uncovered at room temperature.